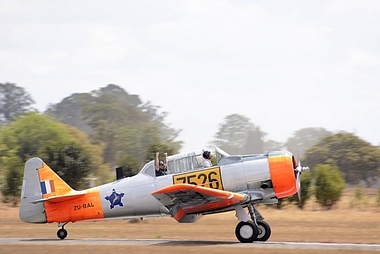 With the scene set for the first air show in 19 years, Charles Prince airport became a hive of activity. 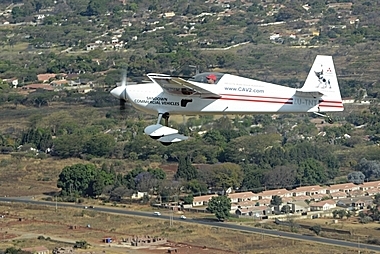 With twenty South African, aircraft expected it was a recipe for success and a fun filled weekend. Eventually 19 of the aircraft arrived with only one of the RV 7 contingent not showing up. 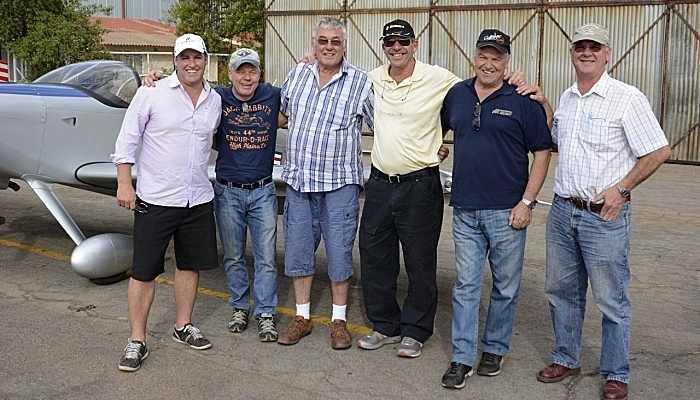 The cream of the crop of South African pilots Elton Bondi (the SA side organiser), Nigel Hopkins, Charles Urban, Neville Ferreira, Johnnie Smith and Mark Hensman arrived in their respective aircraft. 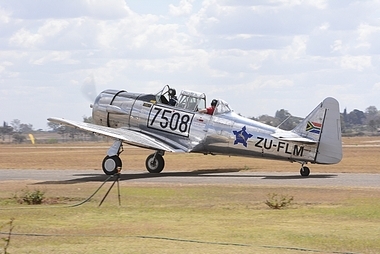 The South African Warbird contingent was made up of three T-6 Harvards and two T-28 Trojans. Ferry pilots for the Trojans were John Wright and Pierre Gouws and the Harvards were brought in by Larry Beamish, Dion Raath and Hyden Tunmer. A gaggle of five RV 7's was brought to the show and performed a formation display that had the crowd on its feet. They were later joined by three Harvards and together the eight performed a display that included loops. As far as is known, this is the first time that a formation of mixed aircraft performed this feat. The weekend saw various different formation combinations. Derek "Pops" Hopkins was the ferry pilot for the Larry Beamish aircraft. The formation pilots were Larry Beamish, Ryan Beeton, Paul Quick, Rob Kennedy and Neil Murray. 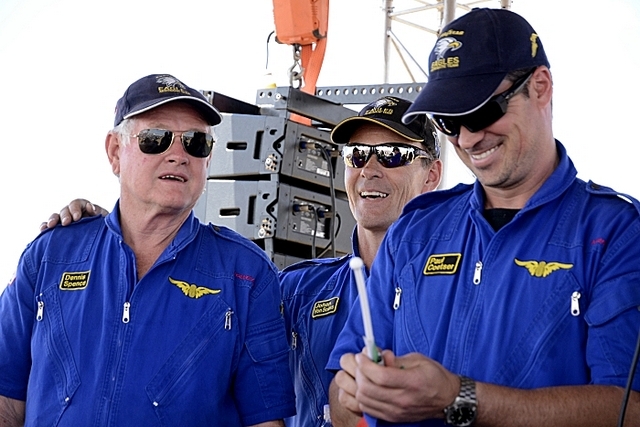 The Good Year Eagles aerobatic team made up the rest of the South African contingent. 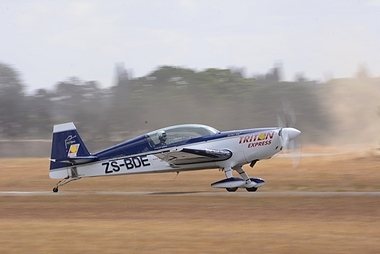 The team of Dennis Spence, Johan Von Solms and Paul Coetser were involved in the mass formation flypast over Harare on Saturday and also did two full displays on Sunday. The mass formation consisted of three Harvards, Two MX2's, Five RV 7's, Two Pitts Specials, one Extra 300, One Slick 450 and One S-Bach. This made a total of fifteen aircraft and seven different types. 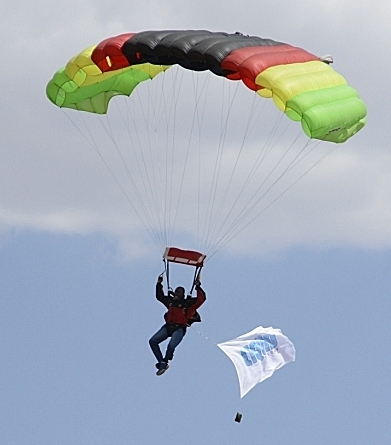 Skydivers from South Africa, Zimbabwe and Zambia took part and displayed their abilities even though there were strong winds and thermals present. 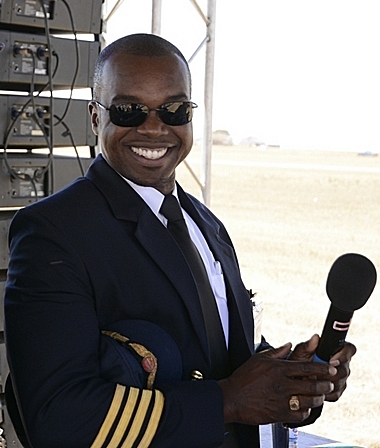 One of the highlights of the Airshow day was without a doubt the low level flypast by Air Zimbabwe pilot Captain Joe Mparuri in the Boeing 737-200. 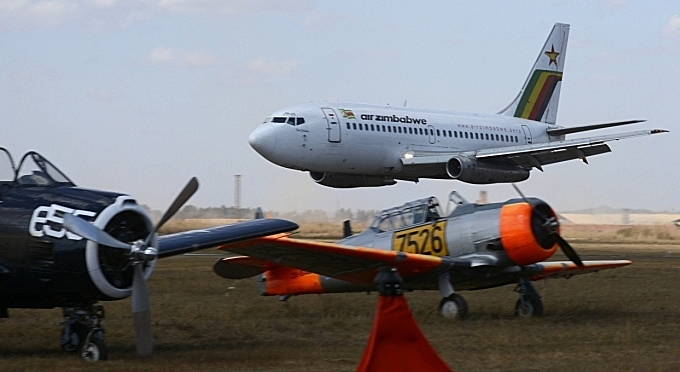 During an interview the captain informed the spectators that he had set the "Bug" on the aircraft for 10 foot and he actually did bring the aircraft down to that height. The flypast took place between 10 and 20 foot agl. Captain Mparuri is 40 years old and has 10 000 hours to his name. 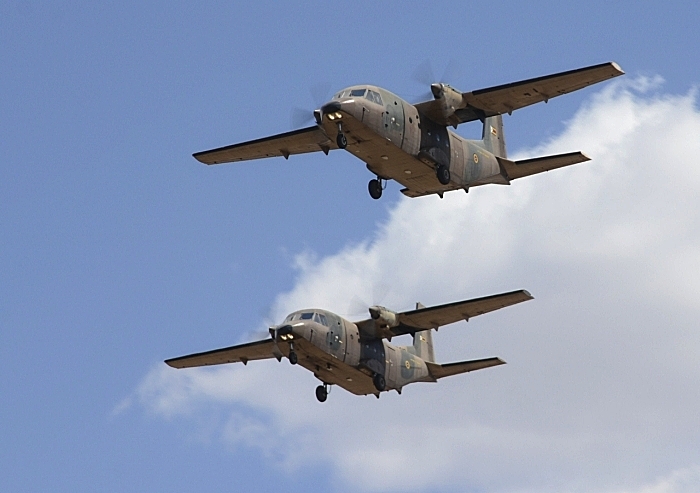 The Zimbabwe air force were represented in the form of one Alouette III, one Super Puma, one Mi-8 and two AB 412 helicopters, four SF 260 Marchetti's, two Casa 212's and four Nanchang K-8 fighters. 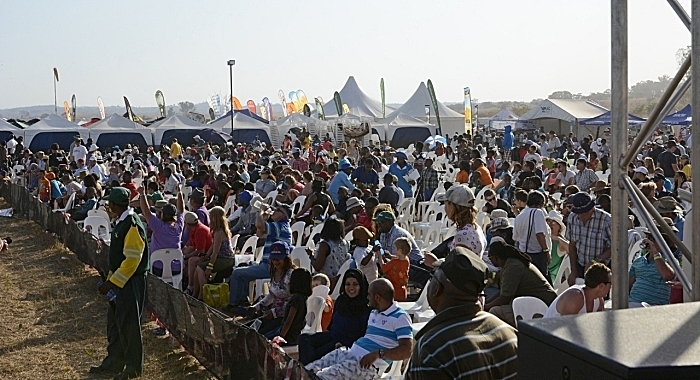 With an estimated crowd of 18 000 people, the day was a huge success There were some teething problems but nothing major. 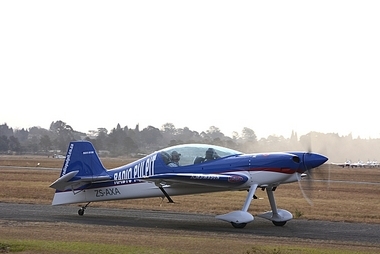 The organisers have learnt a great deal and will apply the knowledge to future air shows. Pilots and their partners were well looked after and a great time was had by all. 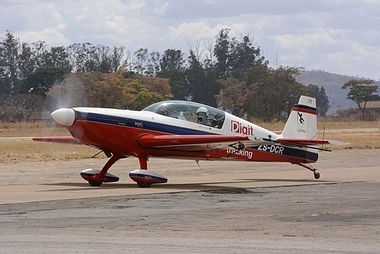 Proceeds of the show will be used to repair the runway lights and also to re-do the runway markings. To all the organisers that worked so hard to make the show happen, I say thank you and well done. May the next one be even bigger and better.